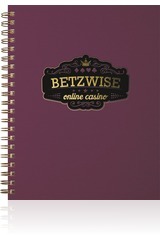 Jewel-tone, iridescent color on flexible paper covers mounted to 14pt. white paper. Includes 1-color foil or deboss imprint up to 16" sq. 100 sheets of 60# ruled paper. Wraparound perfect-bound spine. *Turquoise, Marine, and Cognac are discontinued. Available while supplies last. Highlight your brand with the stunning ShimmerJournals, combining rich jewel-tone hues and an iridescent finish. Guaranteed to make your company stand out in a crowd! Available in classic, wire-bound or Flex PerfectBook styles. *Turquoise, Marine, and Cognac are discontinued. Available while supplies last. Call for higher quantities. Price includes one-color foil imprint up to 16” sq. Setup of CAD$70 G. Standard turnaround 7-10 business days from proof approval. Actual pre-production sample available for CAD$70 G.